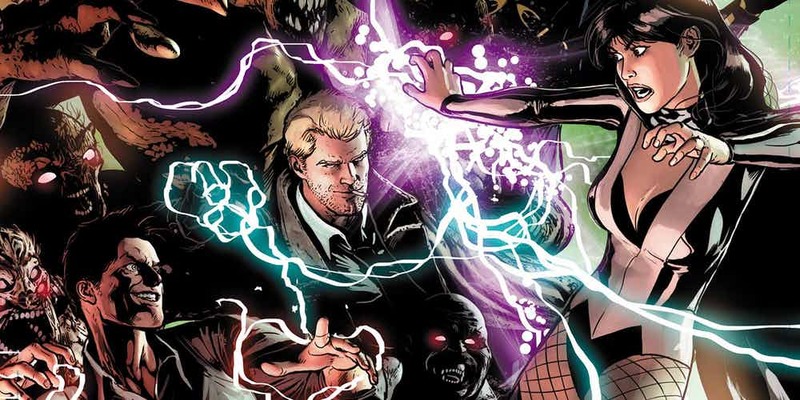 Justice League Dark Will Be "Character Driven" And "Intimate"
While all of the attention as far as DC Comics adaptations go is being placed on films like Wonder Woman and Justice League at the moment, and understandably so, it’s important to not forget that the studio’s also got Justice League Dark coming up. Originally set to be directed by Guillermo del Toro, Doug Liman has now stepped in instead, jumping ship from the seemingly sinking Gambit. Admittedly, JLD isn’t moving along much quicker, with only the smallest of updates about production trickling out here and there. It’s still a long, long ways away from hitting theatres, but Liman is hard at work on the project and has started to open up a bit in regards to what we can expect. And if the director is to be believed, the DC Comics flick is going to be a far more personal affair than what we’ve seen from the genre thus far. This sounds pretty promising, especially because we so rarely see comic book movies go this route, as they’re usually more focused on big, bombastic action scenes that do away with solid character development. That might be a bit of a generalization, sure, but it’s probably true more often than it’s not. So, if Liman really is hoping to make this a more character focused affair, then Justice League Dark could turn out to be something quite unique. What’ll also be interesting to see is if the film can do for its heroes what Guardians of the Galaxy did several years back. As you probably know, the roster in JLD will feature the likes of Swamp Thing, Deadman, Constantine and more. Hardly A-list characters, but then again, neither were Star-Lord, Groot, Rocket Raccoon, Gamora and Drax before James Gunn turned them into household names. Can Liman do the same for his motley crew? Time will tell, but we’re certainly excited to find out. Tell us, what are you hoping to see in Justice League Dark? Sound off in the usual place with your thoughts!